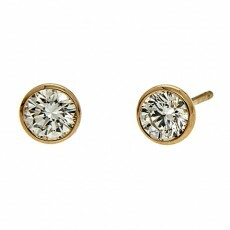 Jewels are items, usually minerals, that humans cut, polish, and use to adorn themselves. Gemstones come in a broad spectrum of colors, may be opaque, translucent or transparent, and interact with light in a number of ways. Some jewels are so hard that almost nothing can scratch them, while others are able to withstand powerful blows. Still more stones are delicate, requiring a gentle touch. What all gemstones have in common are their beauty and ability to capture the imagination. Their looks, strength and endurance become symbols for what we aspire to, and for understanding the world around us. The importance of jewels is further underlined with lore both ancient and new. 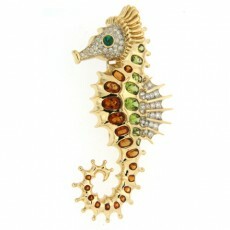 With tales and symbols, gemstones become ever more beautiful, metaphorically as well as aesthetically. A gemstone is a mineral, rock, organic substance or petrified material that is cut, faceted or polished for use in jewelry and collectibles. Every jewel is subdivided into different groups, varieties and species. 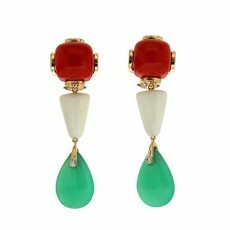 Gemstones are prized for their great beauty and perfection, making their appearance extremely important. Characteristics that have an effect on a stone’s beauty are color, unusual optical phenomena, clarity and rarity. Lapis lazuli is a semi-transparent to opaque jewel. Its luster, or surface gleam, varies from waxy to vitreous, or glasslike. The gem’s refractive index, or ability to bend light, is rated at 1.5. Diamond by comparison is 2.417. Other optical properties like dispersion and pleochroism are absent. 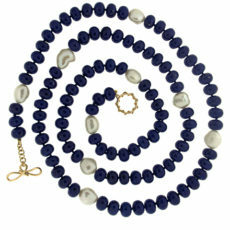 Lapis Lazuli or popularly known as lapis is the blue gemstone that has been used for thousands of years. It is still one of the most well-known opaque gemstones. 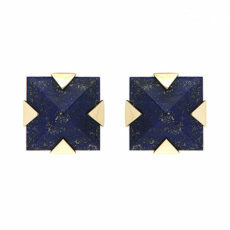 Primarily Lapis is composed of the mineral Lazurite, Calcite and there are also traces of Pyrite. 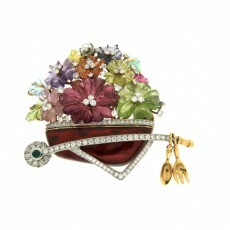 When one thinks of colored gemstones, three jewels come to mind first. Rubies, sapphires and emeralds have been favorites for thousands of years, and continue to be admired. 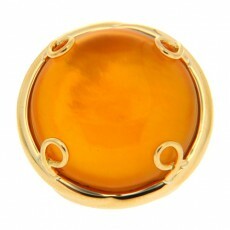 Their place of prominence in the colored gemstone world is such that they are sometimes referred to as the Big Three. 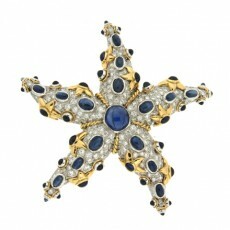 Big Three colored gemstone jewelry can be as in demand as some of the finest diamond pieces. Jewels like the Sunrise Ruby have made headlines for their record breaking auction sales. Opals are gemstones made of water and silica. They form over countless years, as deserts experience periodic rainfall. Cavities under the earth fill with silica rich groundwater, only to dry out when the weather clears for months at a time. Constant cycles of wet and arid seasons cause the silica underground to form into stacks which bends the light around them, forming rainbows in the stone. 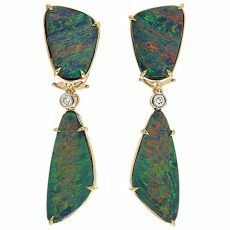 The play of color in precious opals have been compared to kaleidoscopes, flames and lightning from the heavens. No two opals are alike, exhibiting different color patterns or none at all. They also vary by background color, translucence and other factors. This in turn influences how they’re cut and used in jewelry design. Some Gemstones are born from plants or animals, these gemstones are known as organic jewels, they may take after their stone cousins, fossilizing over millennia to reach their full beauty, some take shape after a handful of years. 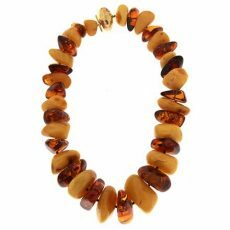 Read on about these organic gemstones – Amber, Coral, Ivory, Jet, Nacre, Pearl. The first written account of Sri Lanka’s jewels dates to 334 BC. Today, the country’s gemstone market is still going strong. 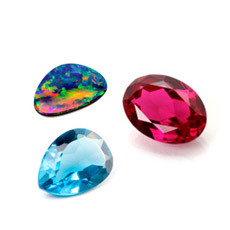 Among the stones mined are spinel, moonstone, garnets, tourmaline, zircon, ruby and sapphire. 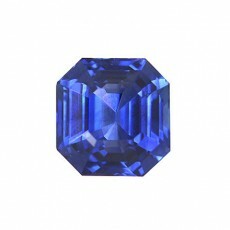 Sri Lankan sapphires are especially prized due to their saturated hues. The concept of birthstones trace back to the writings of Josephus and St. Jerome, who made references to a ceremonial garment known as the Breastplate of Aaron. According to them, the twelve stones on the breastplate were tied to the twelve months of the year, along with the twelve zodiac signs. From there, it was a small step to assigning a jewel to the date of one’s birth. Some gemstones have a history that comes with them, as a result to this they tend to be more famous than other beautiful gems, read through some stories about four of these gemstones which are; Emerald, Sapphire, Ruby and Topaz. Read more about these jewel phenomena – Asterism, Alexandrite’s Color Change, Chatoyancy, Labradorescence, Iridescence and Orient, Aventurescence, Milk and Honey. Few gemstones are pristine in their original state. Cleaning, cutting and polishing are necessary to bring out their best. Many jewels require additional help in the form of treatments. Commonly treated stones include emeralds, citrine and tanzanite. 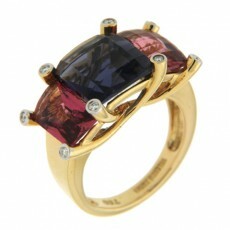 Treatments not only enhance color, but can also reinforce the gemstones, increasing their durability. Without aid from human hands, fine jewels would be rarer than they are now. Though some stones are treated more often than they are left natural, it’s still important to know if or how your jewels have been enhanced. Check if your favorite jewelers advertise what their gemstones underwent. If you’re still not certain, don’t hesitate to ask. For a purchase as important as jewelry, it’s best to know everything you can. Gemstones have a number of origins. Some are born from the earth, others from animals, still more from ancient plants. 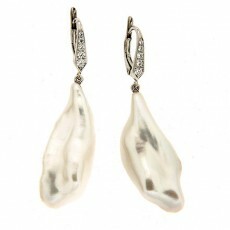 A number of jewels are made with human technology, or are fashioned to resemble more prestigious stones. Anniversary celebrations date back to the medieval Holy Roman Empire, where husbands would gift their wives of twenty five years a silver wreath, and after fifty years of marriage, a gold wreath. Traditions commemorating marriages have since spread to other countries. In time, widespread prosperity allowed more couples to exchange gifts as valuable as their love to mark as many anniversaries as they desire, not just a few milestones. Professional jewelers have access to materials such as high pressure steam which help make their designs look their best. 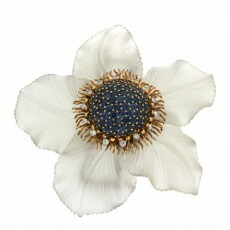 They are intimately familiar with gemology, letting them know which methods are compatible for what jewels. High tech devices such as ultrasonic cleaners are now available to the lay person, but reliable information on jewel care can be harder to come by. Cut, color, clarity and carat, are also known as the 4Cs. While the concept of the 4Cs was developed as a global language to grade and evaluate diamonds, they also serve as a means to study colored gemstones. Due to the great variety in colored gems, it’s important to know how the 4Cs work beautifully in some jewels, but behave differently in others. 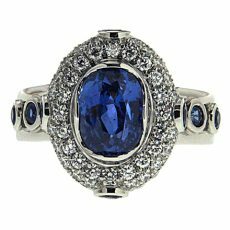 The word sapphire comes from sapphirus, a Latin word. It is also said to have its origin a Greek word sappheiros, and a Hebrew word sappir. Some linguists have even said that it comes from a Sanskrit word called shanipriya. The word shani means Saturn and priya means dear. The popularity of emerald as a gemstone is unmatched among the likes of rubies and sapphires. 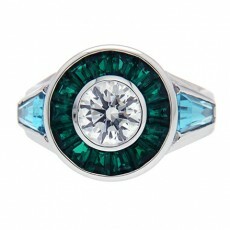 Though diamond continues to hold on to the title of ‘crown jewel’, the use of emerald in fashion jewelry is on the rise. Designers predict that the age of emerald and other value gemstones will soon commence and that will set the present trend topsy-turvy for good. 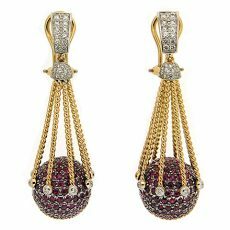 Rubies have made recurrent appearances in gold ornaments through centuries. 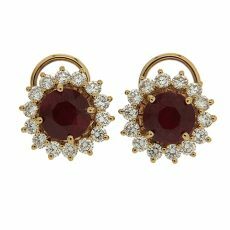 Though known to most people as the blood-red gemstone, rubies do have other varieties that are more mildly colored. Ruby gets its red tinge from chromium that amounts of which control the color scale of the stone. 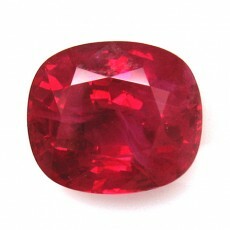 The name ruby is a derivative of the Latin term “ruber” which means “red”. 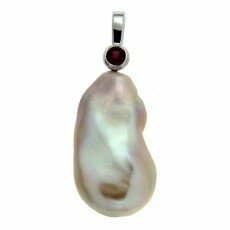 Ruby is one among the four precious gemstones, others being emerald, diamond and sapphire.